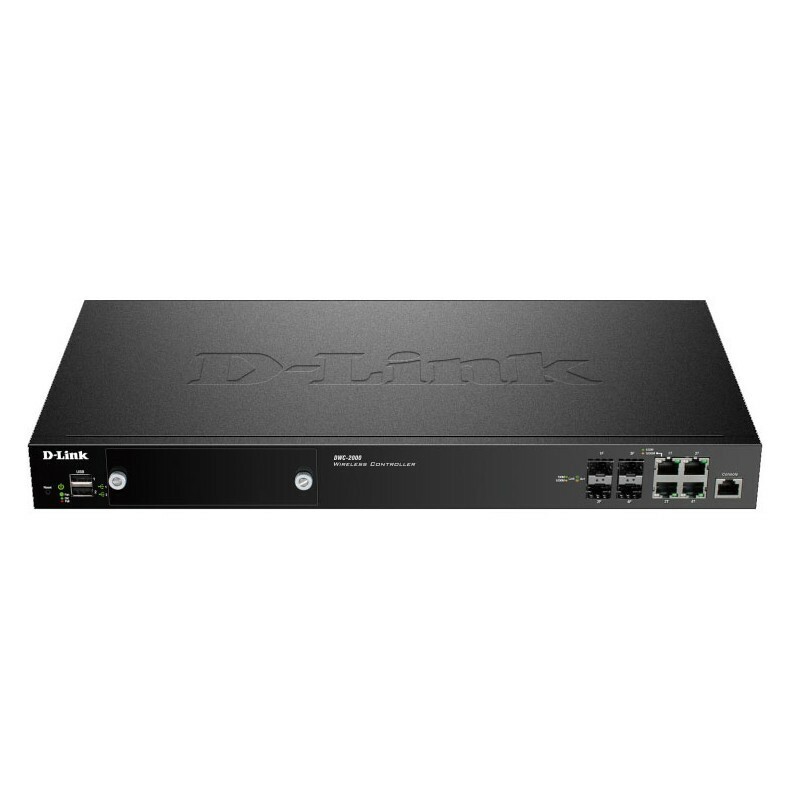 The D-Link DWC-2000 Wireless Controller is a centralized Wireless LAN manager designed specifically for education, hospitality, and medium-to-large enterprises. Out of the box, it can manage up to 64 compatible D-Link Unified Wireless Access Points. With optional upgrade licenses, it can support up to 256 access points per controller, and up to 1024 access points in a controller peer group, making it cost-effective mobility solution suitable for medium to large scale deployments. Features such as auto-managed AP discovery and single-point management allow users to achieve enterprise class networking without the burden of executing massive and complex configurations. The guest account generation function manages guest user bandwidth and accessibility to network resources. With a robust and comprehensive security detection system, the DWC-2000 manages associated APs by blocking potential attacks from unauthorized users and appliances, which is particularly crucial in wireless environments. The DWC-2000 integrates guest management features that deliver a secure and easy solution for managing access to the Internet by temporary users in a private or public network. Each temporary account, or the issued ticket, is accompanied by time-limited or data-limited Internet access privileges. The Guest Management service allows batch generation of temporary accounts, and can also provide account details to the guest via printout. Furthermore, it can monitor or extend the usage on the specific account manually after account creation and activation. By connecting with payment gateways to authorized credit card or electronic payments, guests can easily purchase the service online. The DWC-2000 provides a comprehensive wireless security solution for easy integration into any network. The Wireless Intrusion Detection System (WIDS) featured in the DWC-2000 detects rogue access points, rogue clients, and can anticipate wireless threats, to help prevent potential breaches and illegal access before any damage is done to the network. In addition to fundamental wireless security, the Captive Portal feature allows you to block clients from accessing the network until their identities are verified. The Captive Portal authentication servers cover local, RADIUS, LDAP, POP3 and Windows Active Directory. This double-layer authentication and authorization establish a robust security fence to avoid attacks from internal networks.